Tax preparation is a complicated process as it requires an evaluation of complete one year and much other documentation. Maintaining a record of every month of the year for which tax has to be paid is very difficult. Sometimes, an individual or a business identity do not maintain the document since the beginning of the year because they consider being last time preparation, but it is not correct. The last time development might lead to many problems, and a single mistake can affect a lot. All the people cannot do this tax preparation so a professional accountant is hired and speculative is paid for the tax preparation. If you get connected with our financial group, then our professionals will help you to know how much does it cost to get your taxes done in Canada. While hiring a professional accountant or getting connected with a financial group people always have a thought in the mind that how much does it cost to get your taxes done and they bring to the conclusion that these agencies keep all the amount. This thought is wrong from the clients’ end. The cost charged by the financial group or the accountant for the tax preparation includes everything. The service charge is for the work that we provide to our clients. 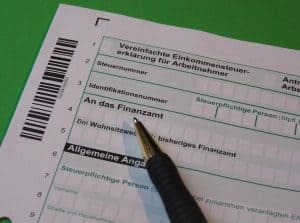 The main point that plays an essential role in tax preparation is the form and schedule filled in the process of the tax return. There is a set fee for all the forms and schedules which is paid by the financial group, and this is included in the final cost. The prior tax preparation fee and how much does it cost to get your taxes done in Canada in the current situation is examined and adjusted with the changes in the client’s case. Tax filing and filling a form is not a work of minutes; instead, it takes hours and hours to complete the same. So in this scenario, the hourly rate based on the time required to prepare a return or on IRS guidelines regarding how long it should take to complete certain forms is charged. This amount is also included in the final cost. Tax filing is the task which is done by the citizens of the country, but under the guidance of the government so there is a fixed tax preparation fee in Canada. Along with the tax filing, this cost is also borne by the financial groups or the chartered accountants. Will the comparison between financial group help the client? The final rate to determine the cost to get your taxes done in Canada is never fixed. The online comparison with other financial groups will help to get them, but it will never be accurate. The clients can also compare the charges with the H&R block, but again the result will not be accurate. The first meeting and rate calculation will be an idea of the amount until a proper meeting with the client is done. The service rate depends upon the complexity of the client tax status and how long would it take to complete the entire process. A meeting with the professional accountant will only help to know how much does it cost to get your taxes done the country. The tax preparation might differ in some stages. 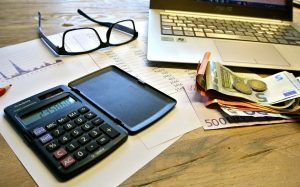 We got to discuss how much does it cost to get your taxes done in Canada but is it the only point that should be kept in mind while hiring an accountant or with a financial group. The taxpayer should concern more about the tax preparer. A wrong tax preparer can increase your expense during tax filing. What is the need to hire a professional tax preparer? If the tax preparer has a piece of complete knowledge and is well-experienced in his field, then the chance of committing any mistake will get minimized. In case any error occurs, he will have the capability to rectify the same. If the tax preparer is mostly concerned about the tax preparation fees, then he would never help further once the tax filing gets over. Other tax preparers might help you by advising on tax saving strategies unique to your employment situation or profession. They also can help you organize and plan for next year’s taxes by suggesting what records to keep and what financial moves to make to lower your tax liability. You can connect with our team to know how responsible the tax preparers have to be for his client while preparing for the tax filing. The complete information of the client’s financial status is given to us, and we keep it safe for the security of the person. There is a lot thing a tax preparer has to do. Along with reviewing all the documents and statement of the entire year, they do have to make reasonable inquiries if the data appears incorrect or incomplete relative to your claimed deductions. Sometimes the license of the accountant can also be barred if the tax liability is understated or refund claim is overstated as per the requirement of the client. So the calculation and documentation should be done with extreme care by the tax preparer. As mentioned above it is not possible to know how much does it cost to get your taxes done in Canada on your first meeting with us. Once you send us your documents and signed tax forms, we’ll evaluate your refund further and assess what additional services you need such as document retrieval or a temporary social security number. Then we’ll let you know how much it will cost to file your tax return for you. For many of our services, we only charge a fee once the refund comes in from the tax office, so you don’t need to pay anything upfront. For others, we charge a filing fee in advance of the application being sent to the tax office. Our account manager of RC financial group will fully explain corporate tax preparation fees in the payment process when you sign up for our service.